New York State makes history with 11/6 election results. Governor Andrew Cuomo was –elected to a third term. Downstate Democrat Letitia James is the first African American and the first woman elected as NYS Attorney General. She defeated Republican opponent Keith Wofford, himself an African American. Two African Americans running for Attorney General in any American state is unprecedented. A progressive blue wave spread across New York State on election day. Voter turnout was robust. NYS election Democrat victors include Antonio Delgadowho defeated on term congressman John Faso. Afghanistan veteran Max Rose defeated GOP Congressman Dan Donovan in Staten Island/Brooklyn race. Democrats flipped five NYS Senate seats bringing their conference to 36 members. NYS Andrea Stewart Cousins Democratic Senate majority leader, who will continue to head the conference, will join the “three men in a room,” the term used to describe Albany’s real power elite, the NYS Governor, the Assembly Speaker and the Senate Majority Leader. Truth to tell, the three men in a room, will no longer be an all- male club nor will it be predominantly white. Carl Heastie is Assembly Speaker. THEATER: AMERICAN SON starring Kerry Washington, Steven Pasquale, Eugene Lee and Jeremy Jordan, opened November 4 at the Booth Theater. A mystery, the 75-minute story centers on estranged interracial parents, looking for their 18 year old son, in a Florida police precinct, set in the now. Actual story details were never disclosed in Washington’s frenetic publicity schedule, nor does one get any idea about the unfolding drama from the many good reviews. The undisputed protagonist in this story is American racism and the myriad fears which accompany it. Some reviewers say AMERICAN SON is Kenny Leon’sbest directorial work to date. He already boasts a few TONYs for best director. The Columbia University Wallace Art Gallery exhibit, “POSING MODERNITY: The Black Model from Manet and Matisse to Today” is all that in the New York art world. The exhibit is the brainchild of erstwhile unemployed African- American, PhD in art Denise Murrell, who wanted to re-imagine and study the relationships of canvas principals, the Black models in paintings, heretofore unexplored to invisibility. She wanted to exhibit those works. With a handsome grant from the Ford Foundation, she was able to bring life to her dream exhibit, which borrowed more than 100 paintings, sculptures, photographs and works on paper from over 40 international lenders. It includes works and or replicas of “Dame a la robe blanche,” by Matisse;” “Din, une tres belle Negresse”by Mickalene Thomas; “La Negresse ( Portrait of Laure) by Manet; and “Olympia” by Manet. Many of the pictures are in the book THE HISTORY OF ART, which used to be a required subject for humanity students during college freshman or sophomore years. The proof of the pudding is in the tasting. The art must be viewed to be appreciated. One art historian enthused that the masters would not devote half of a canvas to a Black woman, who was inconsequential. POSING MODERNITY sounds like great art with a heavy dose of history. Exhibit runs through December. The Frederick Samuel Community Democratic Club hosted its 12thAnnual Legends Award Ceremony and Fundraiser on 11/2 at Harlem’s Grand Slam Banquet Hall. The Harlem politico and business elites were ubiquitous. The honorees roster includes Ebone Carrington, NYC Health + Hospital/Harlem; Fara Fall, owner Lenox Saphire, Chez Lucienne; Jackie Rowe-Adams, Harlem Mother S.A.V.E. ; Iesha Sekou, CEO/Founder , Street Corner Resources; Alyah Horsford-Sidberry; owner Cove Lounge, whom NY Democratic Leader Keith Wright anointed “ Queen of Lenox Avenue;” and Basil Smikle, Jr,, CUNY Lecturer and Political Commentator. The Shadow League hosted its 5thAnnual Awards Dinner on October 30 at the Edison Ballroom, NY. Honorees are Dawn Staley, SC Women’s Basketball Coach, Bernard Hopkins, 3x Boxing Champion; Ana Julaton, MMA Star; and Gus Johnson, Fox Sports journalist. 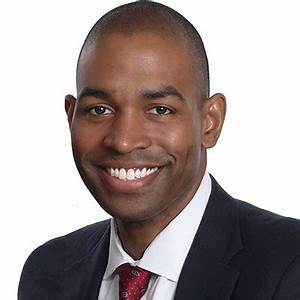 Founded in 2012 by African American media entrepreneur Keith Clinkscales the Shadow League is a digital magazine, which focuses on sports news commentary and analysis with a cultural twist. Visit theshadowleague.com. 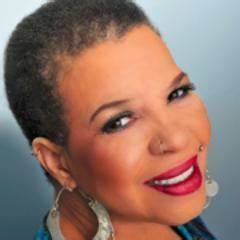 RIP: Literary lioness Ntozake Shange, nee Paulette Williams, 70 passed on October 27. A poet, playwright, novelist and feminist, Ntozake was the first lady of her generation to bring Black women’s stories, their joy and discontent, front stage center in American theater. Shange is best known for her seminal play, a choreopoem, FOR COLORED GIRLS WHO HAVE COMMITTED SUICIDE WHEN THE RAINBOW IS ENUF, a series of monologues by Black women’s trauma and abuse, which was incubated at Woodie King’s New Federal Theater before he co-produced it with Joe Papp at the Public Theater. The choreopoem ultimately landed on Broadway at the Booth Theater in 1976. A Tony nominee, FOR COLORED GIRLS, enjoyed a successful run in the US and overseas. Tyler Perry adapted FOR COLORED GIRLS to film in 2010. 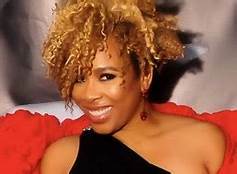 One of Ntozake’s obits indicated that she suffered a few strokes. Last week the New Federal Theater, beginning its 49thSeason, announced that it renamed its reading series Ntozake Shange . Read the NY Times 11/6 essay, “7 Flames Kindled by 1 Writer’s Fire,” which includes comments by Black playwrights and actors, Dominique Morisseau, Lynn Nottage, Anna Deavere Smith, Aleshea Harris, Jackie Sibblies Drury, Ngozi Anyanwu and Suzan-Lori Parks, who were beneficiaries of the Ntozake Shange legacy.